Glaser Weil LLP is pleased to announce that Greg McClintock has been selected as the 2019 "Lawyer of the Year" for Energy Law in Los Angeles by The Best Lawyers in America©. Only one lawyer is selected from each practice area in each metropolitan area as "Lawyer of the Year." Mr. McClintock was also named “Lawyer of the Year” for Energy Law by Best Lawyers in 2014 and 2016. 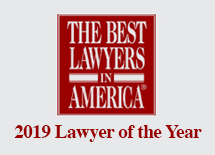 Honored attorneys are selected based on exhaustive peer reviews and the recognition “reflects the high level of respect a lawyer has earned among other leading lawyers in the same communities and the same practice areas for their abilities, their professionalism and their integrity." Mr. McClintock is consistently ranked as one of the country's leading environmental and energy law practitioners. He is credited with negotiating the consent decrees for many of the major Superfund sites on the West Coast and for spearheading environmental review for some of the nation's largest mergers and acquisitions. 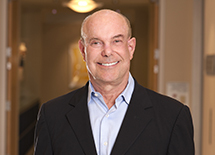 Selected to serve as lead counsel in cases that have established trailblazing legal principles with respect to Clean Air Act, CERCLA and RCRA application, he is routinely called upon to provide environmental guidance to the top petroleum, alternative energy and aerospace companies, as well as major real estate investment and manufacturing firms. Since it was first published in 1983, Best Lawyers has become universally regarded as a definitive guide to legal excellence. For more information, visit www.BestLawyers.com.